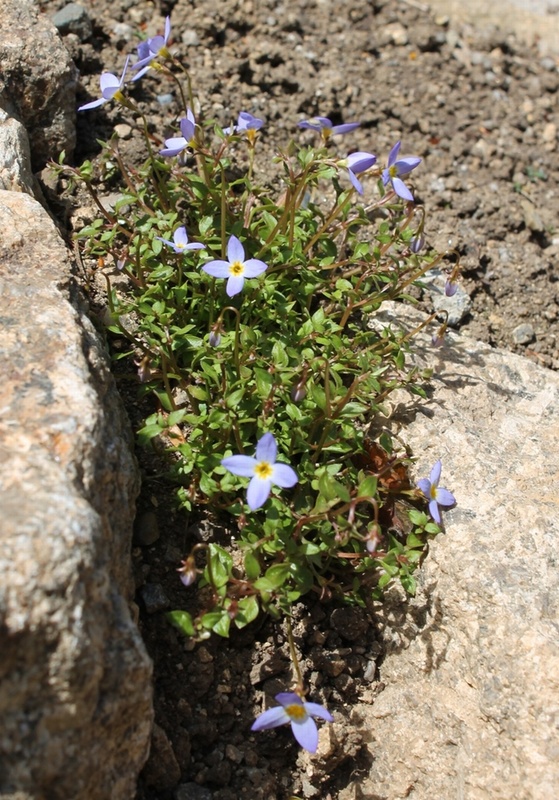 Dainty sky-blue starry flowers with a yellow eye appear in early Summer on short stems, ht 5cm, above mats of flat growing leaves. Needs a moist but well-drained soil. Ideal for growing in the rockery or between paving stones or rock crevices.